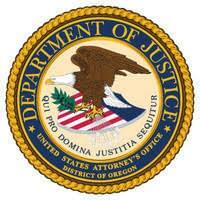 PORTLAND, Oregon — On Thursday, April 10, 2019, Paul Eugene Thomas, 38, of Portland, pleaded guilty to one count of conspiring to manufacture, possess with intent to distribute, and distribute marijuana and maintaining drug involved premises, and one count of money laundering for his role in a vast conspiracy to traffic marijuana grown in Portland to Virginia and Texas. According to court documents, Thomas and co-defendants Jody Tremayne Wafer, 29, Trent Lamar Knight, 30, and Brittany Lesanta Kizzee, 28, of Houston, Texas and Raleigh Dragon Lau, 33, also of Portland, conspired to manufacture marijuana in Portland, transport it across state lines, and sell it in Virginia and Texas. Drug proceeds, in the form of bulk U.S. currency, were returned to Oregon via U.S. mail and passenger luggage on commercial airlines. As part of this investigation, federal authorities have seized approximately 11,000 marijuana plants, 546 pounds of processed marijuana, more than $2.8 million in cash, 51 firearms, 26 vehicles, trailers, pieces of heavy equipment, a yacht, and three houses used as marijuana grow sites, all since August 2017. Conspiring to manufacture, possess with intent to distribute, and distribute marijuana and maintaining drug involved premises carries a maximum sentence of 40 years in prison, a mandatory minimum sentence of 5 years in prison, a $5 million fine, and a lifetime of supervised release. Money laundering carries a max sentence of 20 years in prison, a $250,000 fine, and three years’ supervised release. As part of the plea agreement, Thomas has agreed to forfeit any criminally-derived proceeds and property used to facilitate his crimes identified by the government prior to sentencing. This case was brought as part of the Justice Department’s Organized Crime and Drug Enforcement Task Force (OCDETF) program, the centerpiece of the department’s strategy for reducing the availability of drugs in the U.S. OCDETF was established in 1982 to mount a comprehensive attack on drug trafficking by disrupting and dismantling major drug trafficking and money laundering organizations. Today, OCDETF combines the resources and expertise of its member federal agencies in coordination with state and local law enforcement.